Many people use old phones that do not have enough storage and capability to run fully featured applications because of slow internet connection. So, here is good news for those people. Now, Facebook is launching lite version of messenger chat app. There is already the Facebook lite app available for those who have old phones. Similarly, messenger lite is a slimmed-down version of Messenger. 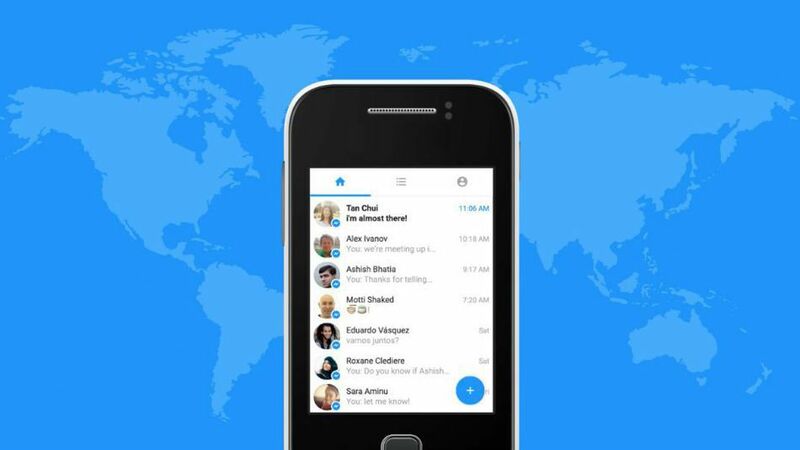 Facebook have decided to launch messenger lite on the five initial countries. According to updates, the Messenger Lite will be available on Android devices in Kenya, Tunisia, Malaysia, Sri Lanka and Venezuela. This is because there are lots of users who uses messenger a lot in old devices. It will work as same as the messenger but won’t do video calls. Previously, Facebook had a loophole option. Through this, you can log into Facebook’s mobile website to access messages. But now, Facebook is closing this option. Thus messenger will be the only option for people to use. The move comes as the social media giant moves to force users to adopt Messenger if they want to send each other direct messages, instead of the main Facebook site or app. Above 1 billion people use Messenger each month. “I don’t think that there is any other mobile messaging service that has a web version,” he added. Facebook have owned WhatsApp, a messaging app but operated as a separate entity. It is also popular in emerging markets.